Brian Chippendale is always pretty laid back in interviews. He's into comics, painting and making collages, has a girlfriend, and lives in Rhode Island. However, there's a beast lurking beneath the easy going exterior 0f this 39 year old. 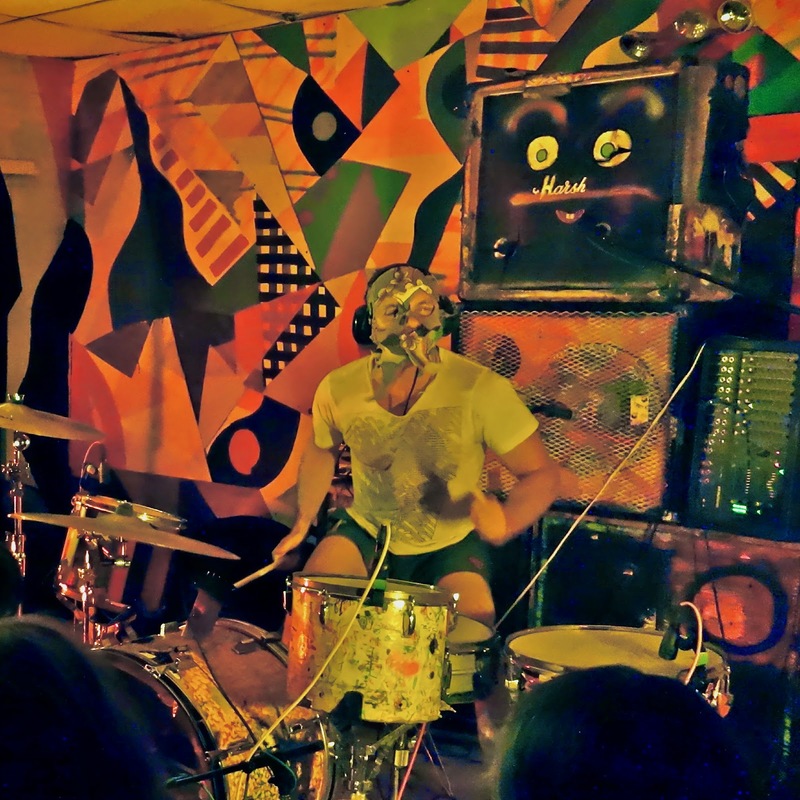 When he gets behind a drum kit he pulls a mask over his head and transforms into a force of nature. 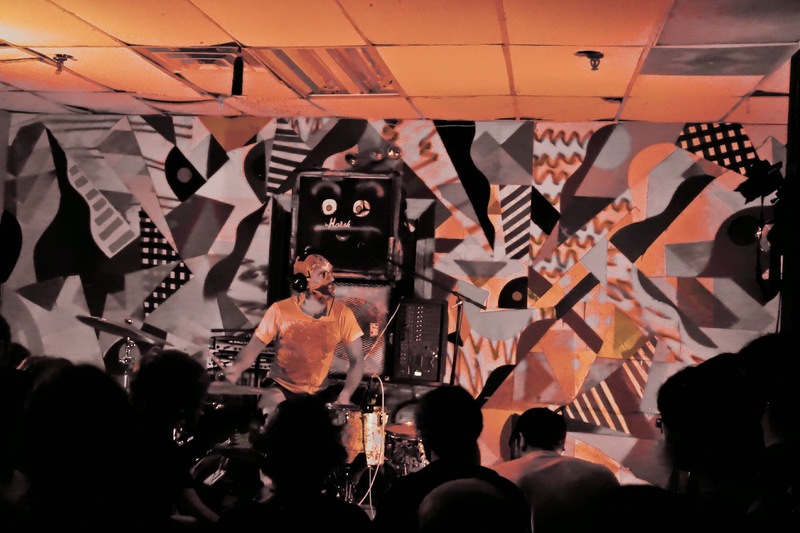 I've seen him perform a handful of times with Lightning Bolt, a noise rock duo he's been a part of for almost 20 years with bassist, and fellow RISD alum, Brian Gibson. They charge full speed at any crowd they play for and sweep them up in an avalanche of rapid fire drum fills, monstrous bass fuzz, and unintelligible vocals. 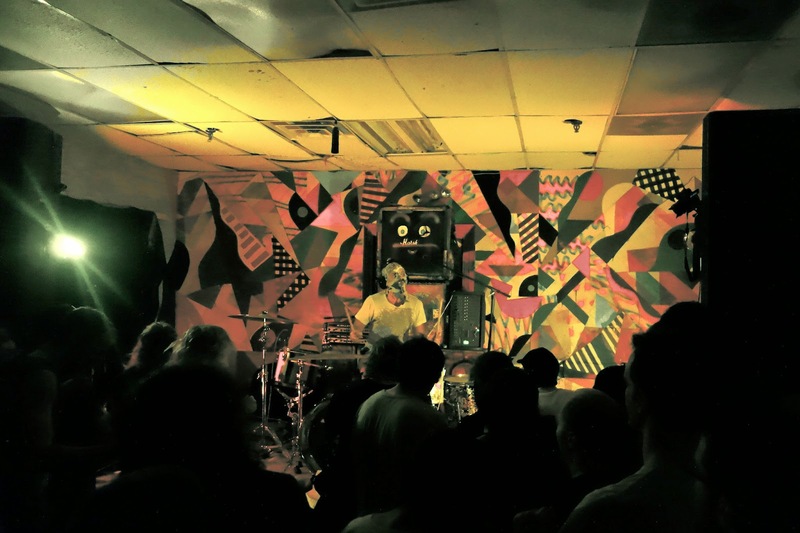 Black Pus is Brian's solo project. His approach is nearly identical to LB. He assaults listeners with an unrelenting barrage of hi octane thunder that demands your attention. 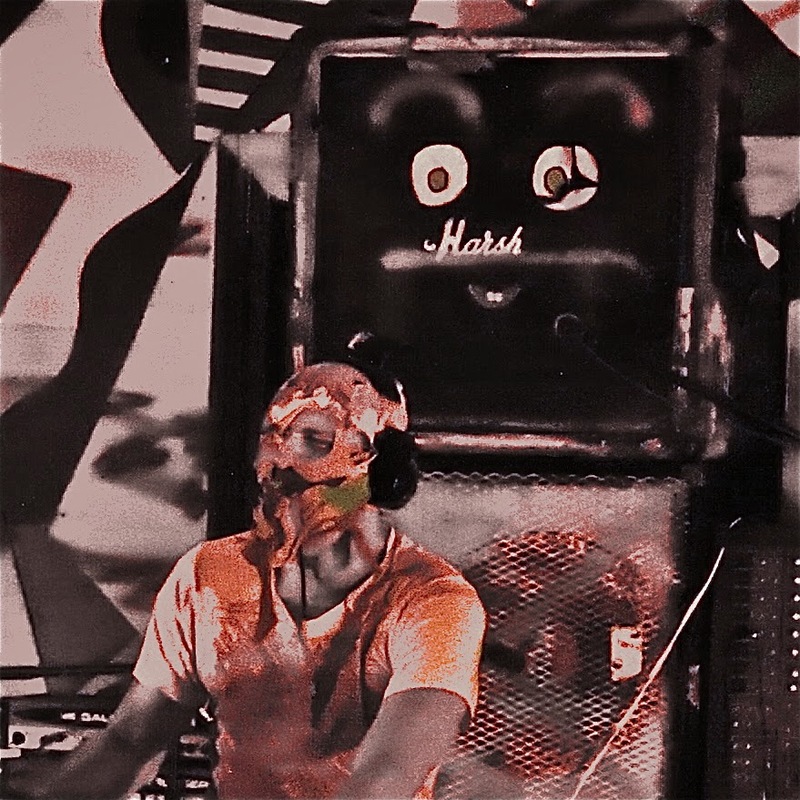 The ear plugs jammed in my ear canal were no match for Black Pus's power. Even a muffled version of Brian was still mind blowing. Seeing him live is witnessing unbridled explosive expression from one of the greatest drummers on Earth. Drenched in sweat, screaming into a contact mic, he pounded his drums so hard and fast I thought the walls might crumble. The physicality and intensity of his performance were awe inspiring. It made me think how bottled up many of us are and how good it must feel to just let go and release like that. His right foot pounds the kick drum, his left foot triggers noise pedals, his arms move in a blur, and his head jostles as he shouts and wails. The end result is epic music that makes 99.9% of everything you've ever heard suddenly seem soft. Seeing Brian Chippendale in a tiny venue was a bit like visiting a brutal masseuse with strong hands. It was rough and painful at times. There were even a couple moments I might have winced. However, by the time it was over, I felt loose as a goose and light as a feather. The pounding tenderized me and returned me to a peaceful state. Music can be magic and this was powerful stuff.